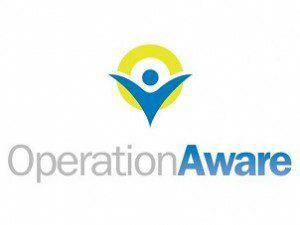 NEW YORK (Feb. 29, 2016) – The Partnership for Drug-Free Kids, a national nonprofit working to reduce substance abuse among adolescents, announced today that Operation Aware will become its newest Alliance Partner. Based in Oklahoma, Operation Aware is an award-winning nonprofit organization whose mission is to equip youth, through prevention education, with the knowledge and skills to make positive life choices. Founded in 1979, the organization serves more than 11,000 students every academic year across the northeastern part of the state. Through this partnership, Operation Aware will help raise awareness of the dangers of substance abuse and help amplify the Partnership’s drug prevention messages. As teen medicine abuse reaches alarming levels, Operation Aware will share resources from the Partnership’s Medicine Abuse Project, a multi-year campaign that aims to prevent half a million teens from abusing medicine. To address this behavior, the Project offers comprehensive steps on how to properly safeguard and dispose of medicines and talk with kids about the dangers of abuse. To learn more about Operation Aware, please visit http://www.operationaware.org/.